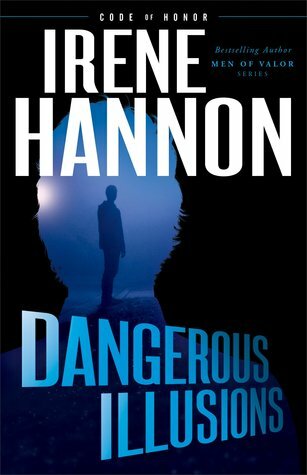 Irene Hannon kicks off the Code of Honor series with a gripping tale! Trish and Colin’s story kept me up late turning the pages, as dangerous and deadly events unfolded. I thoroughly enjoyed the intricacy of the plot and the clever characterization, and I am eager to continue this exciting new series. Intriguing and unexpected, Dangerous Illusions is a great romantic suspense! Trish Bailey is on overload trying to deal with a demanding job, an ailing mother, and a healing heart. When a series of unsettling memory lapses leads to a tragic death–and puts Trish under police scrutiny–her world is once again thrown into turmoil. Detective Colin Flynn isn’t certain what to think of the facts he uncovers during his investigation. Did Trish simply make a terrible mistake or is there more to the case than meets the eye? As he searches for answers, disturbing information begins to emerge–and if the forces at work are as evil as he suspects, the situation isn’t just dangerous . . . it’s deadly.